Click on the Image above for more information on the P4T. 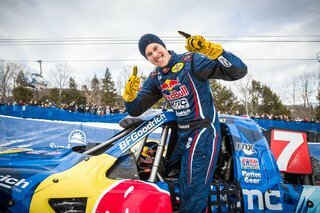 Bryce Menzies won the Red Bull Frozen Rush Event for the second straight year, and the 3rd straight win for Menzies Motorsports with the dominate Weismann Wheel UnLockers. 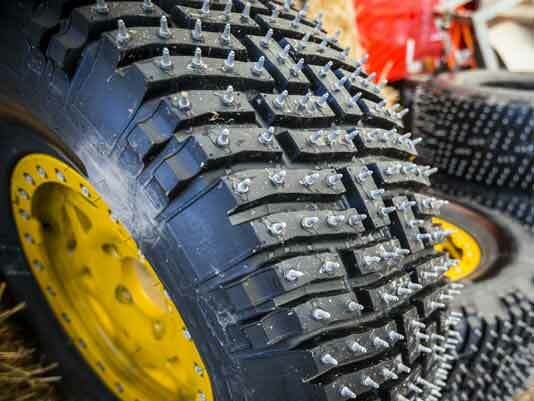 9 Offroad Champions from the TORC and LOORS race series completed against each other to determine the race winner. 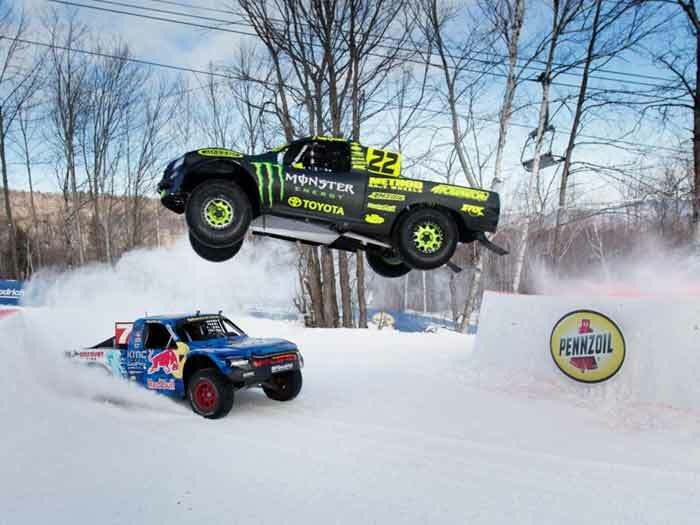 The racers faced each other in a single elimination rounds with only two drivers at a time on the course. 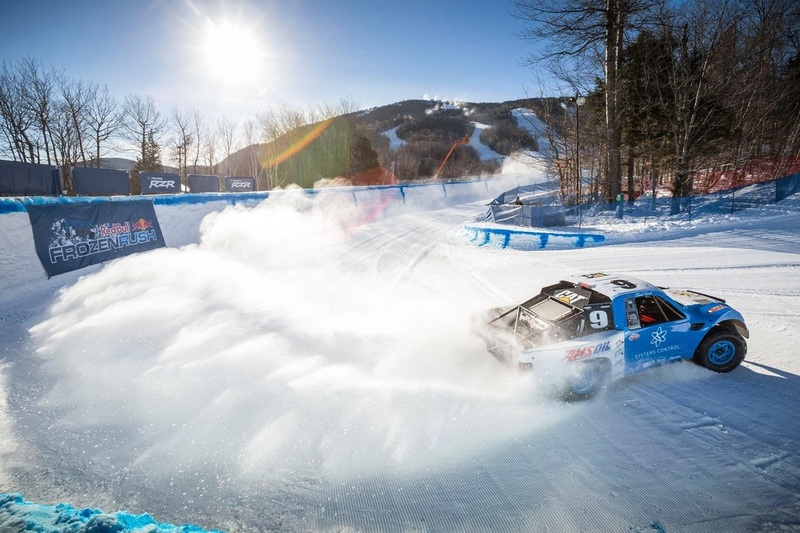 Each two lap race had drivers switching from a red course to a blue course and time penalties for missing gates and false starts like in skiing. The quicker driver in each race had lane choice for the start. In the first round of eliminations, Rob MacCachren got lucky to move forward when this year it was Scott Douglas who ran out of talent and crashed hard into the concrete barriers in the final turn! CJ Greaves raced with our 4WD WJT Transfer Case and our Weismann / GM UnLocker, and easily dispensed with RJ Anderson before losing to speedy Ricky Johnson. 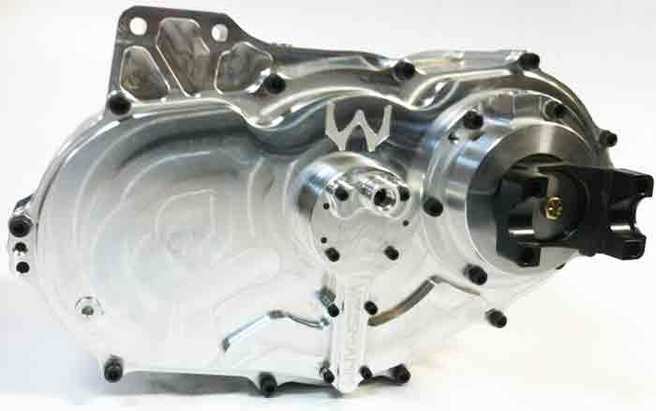 Chad Hord raced with our WJT Transfer Case as well, but lacks a Weismann UnLocker, so he was eliminated by Carl Renezeder, who was later schooled by Ricky Johnson. Johnny Greaves also runs our Weismann / GM UnLocker, but Bryce Menzies runs an old truck with our Weismann Wheel UnLockers and our WJT Transfer Case. So Bryce was able to drive past Johnny, and then past Rob MacCachren in the next round to put himself up against the Legend Ricky Johnson for the final round. 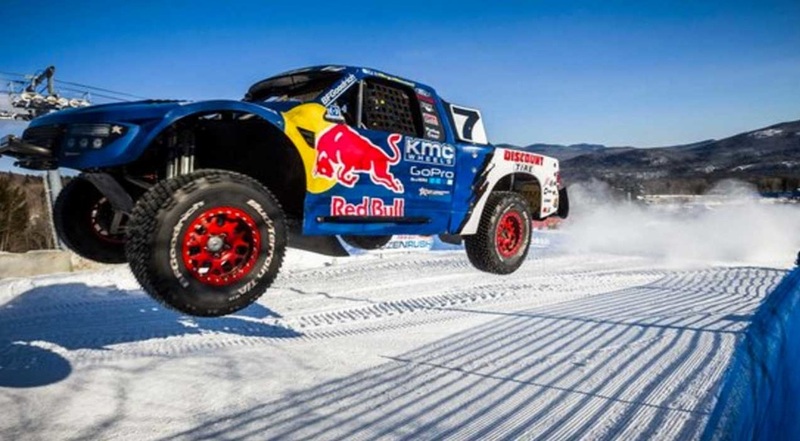 Bryce Menzies got the hole shot due to the superior traction our Weismann Wheel UnLockers provide, and by the first jump, Bryce had already a one truck lead. 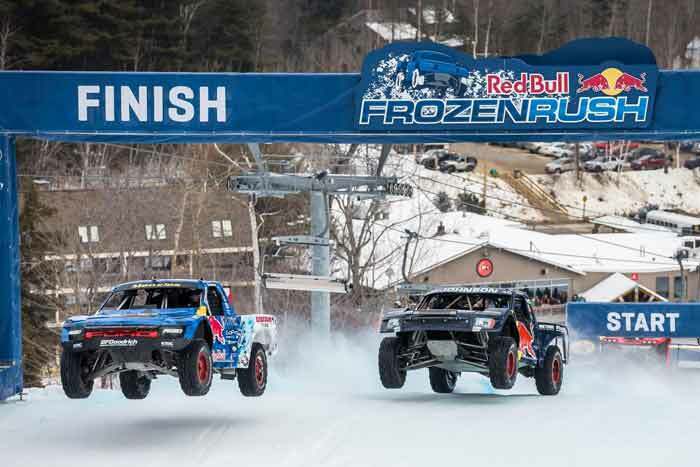 Not to be denied, the Inaugural Frozen Rush Champ Johnson made a last great effort to pass Menzies on the downhill run, nearly losing control of the track through the bumpy downhill section. 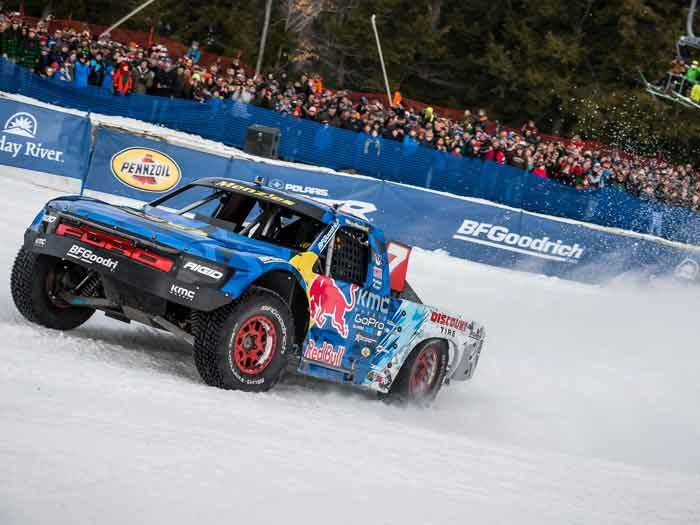 But Bryce was in control through the big sweeping final turn and to his second consecutive Frozen Rush win. 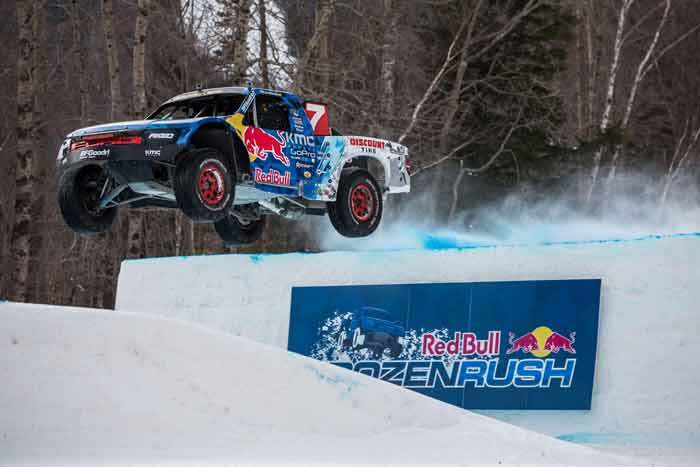 This truck has won all 3 RedBull Frozen Rush Events. 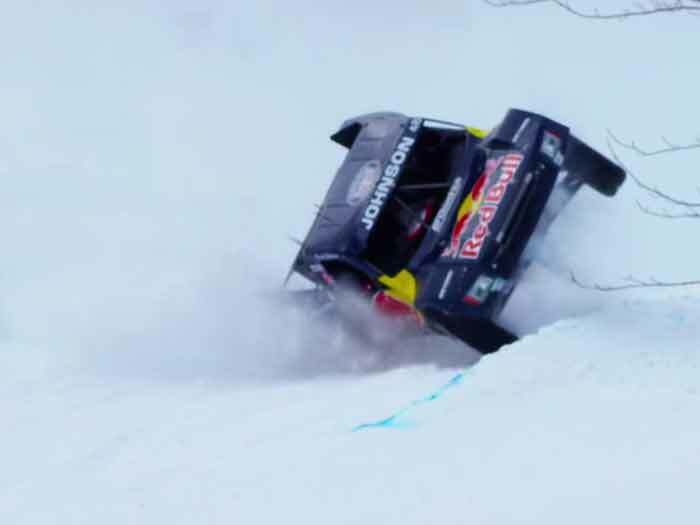 Ricky Johnson, Bryce Menzies and Rob MacCachren celebrate. 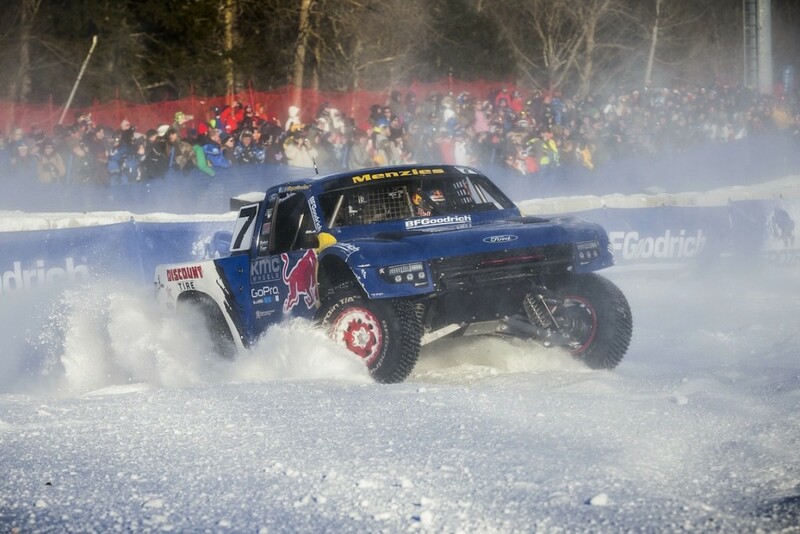 Check out RedBull.com for more race results, pictures and videos. Go up and Click on the picture of Rick Johnson almost losing it and watch a youtube highlights video of the race weekend and Ricky's incredible save around the 1:24 minute mark.